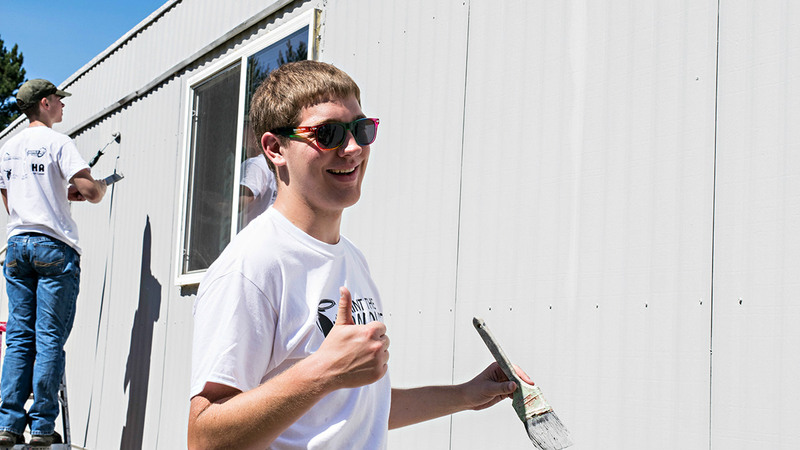 This year was the 29th Annual Paint the Palouse Project. 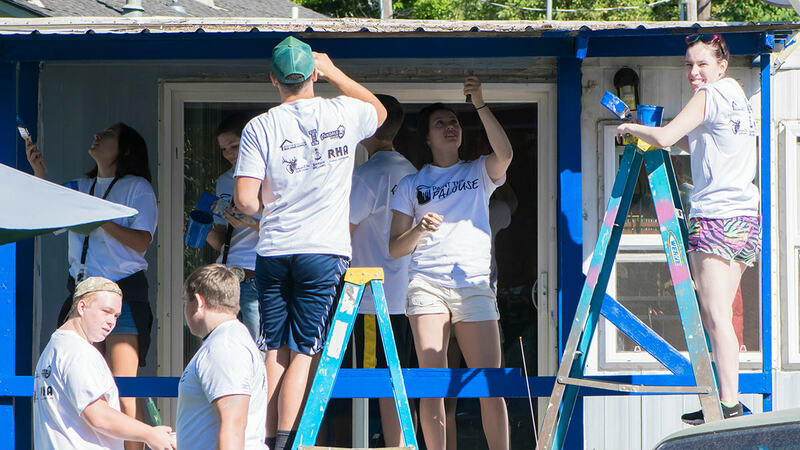 On August 25, 2018 Housing & Residence Life students painted four homes throughout the community for families in need. Over 300 volunteers gave their time for this year's event. Paint the Palouse continues to be special because it brings everyone closer to the Moscow community. 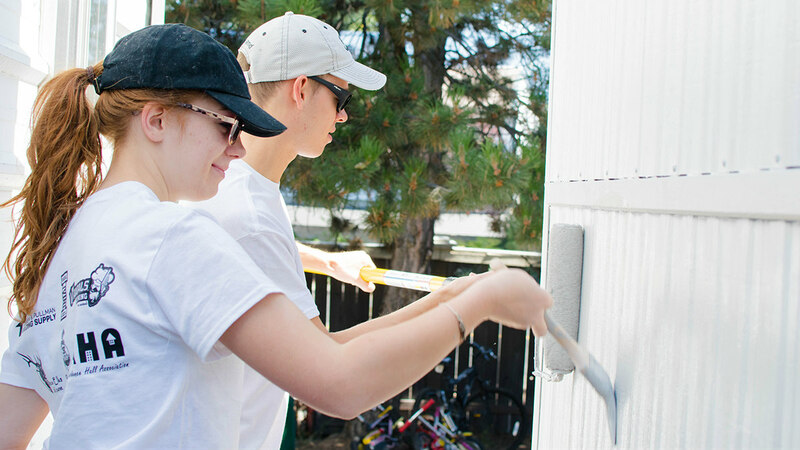 It's the student volunteers who make this community service project such a success year after year. 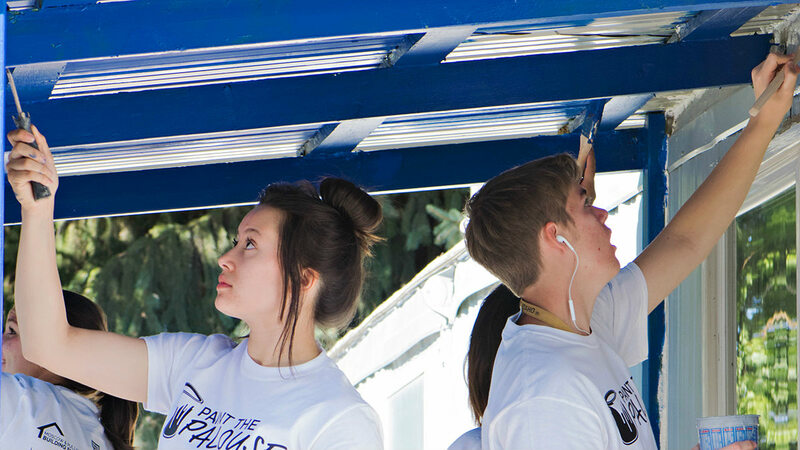 Prior year’s sponsors include the U of I track team, Moscow Building Supply, T-shirts Inc., Casa Lopez, Sherwin-Williams, Pizza Hut, The Moscow Elks Club, Vandals Dining, University of Idaho Housing & Residence Life and the Residence Hall Association. How are houses selected for painting? 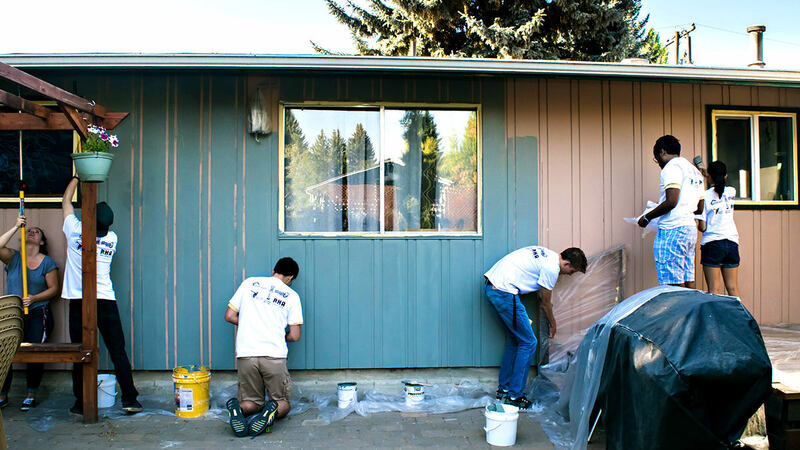 A team of Paint the Palouse representatives rank all house applications based on need, house size and ability to complete the job within the Paint the Palouse parameters. 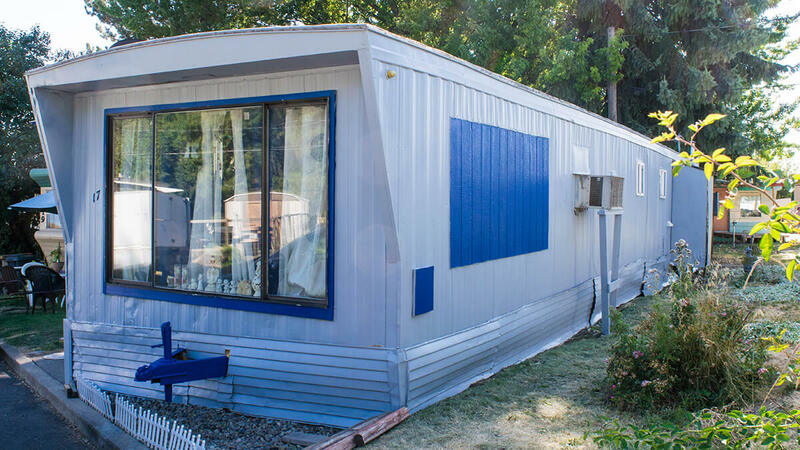 Once you have applied to have your house painted, we will be in contact to view your residence to assess the work needed. Once the final decision is made, all applicants will be notified within the month of June. Applications for this fall's Paint the Palouse close on May 1, 2019. To apply, fill out the form at uidaho.edu/student-life/housing/getting-involved/paint/application. We are greatly appreciative for donations. Food, painting supplies and money are always needed for this event. If you would like to make a financial donation, please make checks payable to Paint the Palouse. Transforming this home with a drastic color change. Student volunteers painting the trim. 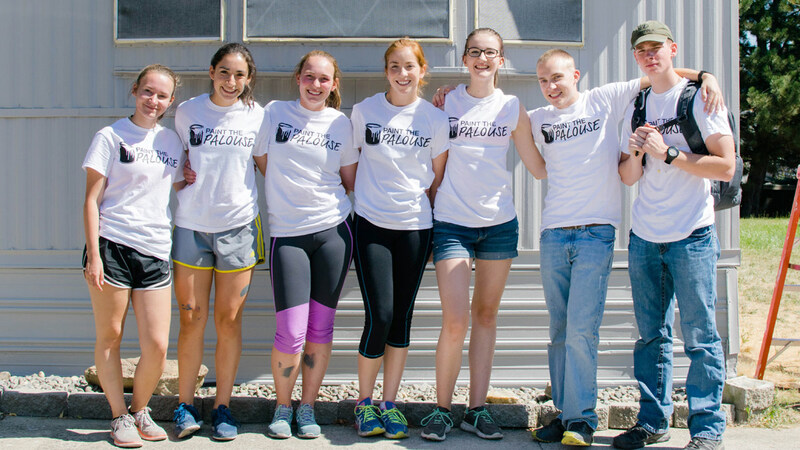 Thanks to these seven students for their volunteer work. Transformed from gray to blue. What a difference! Thank you to our Residence Hall students for lending a hand.